If you know of someone struggling…. Hello let me introduce myself my name is love, pink, joyful, laughter, fun, accepting, free-spirited, sensual, kind, caring, understanding, insightful, focused, millionaire, educator, magnificent, dynamic, sparkly, diamond lover, debater, healthy, swimmer, who loves others and wants them to come along and take this ‘HAPPY’ adventure with me! My name is Teena Drake, my game is living life as HAPPY as possible. Wow! Brag much Teena? Nope I don’t have to brag this is how people have described me and the adjectives I have chosen to identify my life with. You see my entire life has been altered for the better of me, but the most exciting part is for the betterment of you too! You might be puzzled, but allow me to take a couple of pieces of this puzzle and show you a glimpse of the possibilities. I am so excited right now I can barely type! I keep walking away saying don’t do this! It’s to scary to tell the world what you have learned! But if I keep it a secret well I can’t keep this feeling or life! Which puts me in a pickle! Therefore, I am busting out!!!! So if you are ready to see who you are and find that ‘HAPPY’ place you have been longing for follow me on this adventure…as I reveal a lifetime of learning, but let’s begin with what I have learned since December 8th, 2016. The event, the blessing, that had to happen for me to have received such a wonderful gift for the world – that can seem gloomy and sad. It’s a gift full of joy, happiness, adventure or just a hike in solitude the world is a beautiful place as long as you are happy! First Assignment: 1, Write your name 2. Write all the adjectives or activities, that make up you (NOT OTHER PEOPLE) 3. Now ask by text or email so they can think about it, how some of your friends, family members, or acquaintances would describe you. (The third step came from Jack Cannefield’s writing). 4. Read all of them and delete any you do not like and own the ones you love. 5. Anything you would like to share about this first step to ‘Being’ ‘Happy’ tag me so I can read it and share! I look forward to reading about the amazing YOU! When I began this process I was unsure how other people would describe me, but some of the things I said about myself were not nice. If you come up with a similar scenario and you are saying negative things about yourself, even if you won’t write it you are thinking it continuously, STOP! I know it’s not that easy trust me, but I promise I can help you. Mmmm I take that back I can’t help you, but I can provide you with the tools to help yourself. I hope you have a beautiful weekend and remember God Loves You No Matter What! Please! Please!Please, Share all of my post if you are struggling or know of someone else struggling with this game of ‘Life!’ Why? You ask? Because I have been given a gift that if, I want to keep, I must share it with as many people possible. 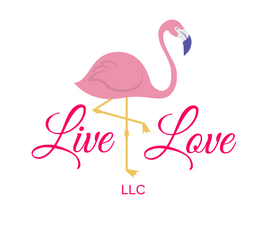 Therefore, I am asking that you tell your friends and family to follow me on WordPress, Facebook-Teena Drake, Twitter-Livelove pinkologist@TeenaDrake, Instagram- live_love_pinkologist and you tube. When I begin to video this series I will let you know so you can subscribe to Livelove Pinkologist. (Or you can subscribe anyways). Thank you and God Bless Each of You and may you BE HAPPY! This entry was posted in adventure, anxiety, brothers, children, communication, dementia, Energy, entertainment, family, friends, God is good, Happiness, healing, law of attraction, Love, Marriage, memories, Not perfect, parenting, Relationships, sibilings, sisters, storms, Thank you, Travel and tagged addiction, blessed, communication, depression, Energy, entertainment, faith, Fun, Funny, gift, Happiness, illness, life, loss, people, ponder, positive, self development, skillset, struggles, suffering, tools, Travel, whoareyou on June 2, 2017 by teenadrake.